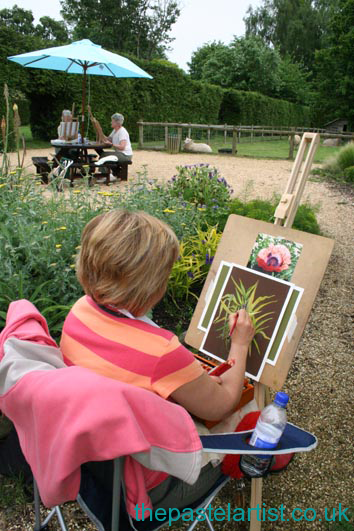 We work with pastels, acrylic and mixed media in our friendly art groups in Poole and Dorset. Suitable for beginners and experienced artists, the workshop or course will cover basic techniques and mixed media approaches to pastel or acrylic painting working from still life and photos. I am also happy for people to bring their own projects or pictures to work on with advice and assistance from me. A selection of pastels can be provided for beginners and experimentation. Click on Weekly workshops in Wimborne for our weekly Thursday class opposite The Old Inn, ring or email for dates. Booking is in advance and cannot be refunded unless you can find someone to replace you.